1.This Invitation for Bids (IFB) for this project that appeared in National News Paper, Ministry Official Website and UNDB online on January 8, 2016. 2.The Government of the Union of Myanmar has received financing from the World Bank toward the cost of the “Telecommunications Sector Reform Project” and it intends to apply part of the proceeds of this financing to payments under the agreement(s) resulting from this IFB: Design, Development, Configuration, Hardware Supply, Installation and Maintenance for the Myanmar National Portal. 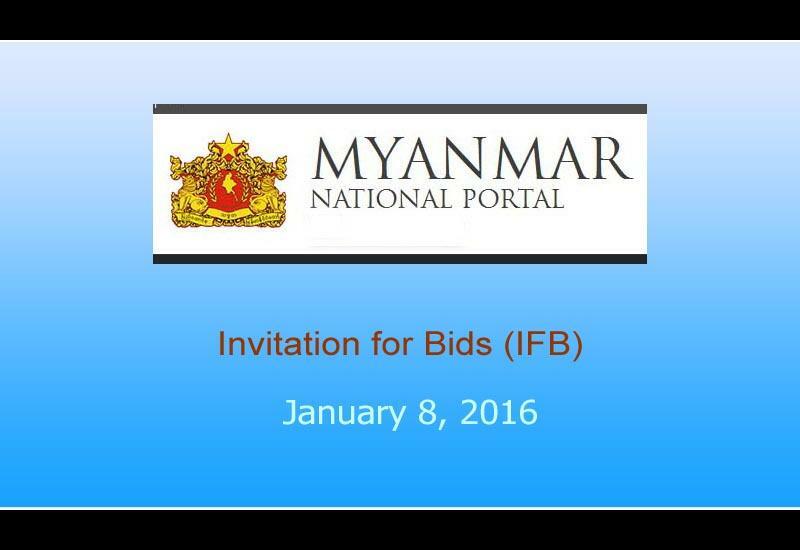 3.The serves as the implementing agency for the project and now invites sealed bids from eligible Bidders for Design, Development, Configuration, Hardware Supply and Installation for the Myanmar National Portal. The bidder should demonstrate its ability to ensure local presence (either existing or planned) or submit plans to establish local presence to support the project. 5.Interested eligible Bidders may obtain further information from the Ministry of Communications and Information Technology and inspect the bidding documents at the address given below from 10:00 to 14:00 hours. 6.A complete set of bidding documents in may be downloaded from Ministry Official Website http://www.mcit.gov.mm/news/itcsd-news . The downloadable version of the bidding documents, and any addenda to it, will be the binding one. 7.Bids must be delivered to the address below at or before February 26, 2016, 14:00 hours. Late bids will be rejected. Bids need to be secured by a Bid Security. The amount of Security required is USD 16,000. Bids will be opened in the presence of Bidders’ representatives who choose to attend at the address below at February 26, 2016, 14:00 hours. 8.The attention of prospective Bidders is drawn to (i) the fact that they will be required to certify in their bids that all software is either covered by a valid license or was produced by the Bidder and (ii) that violations are considered fraud, which can result in ineligibility to be awarded World Bank-financed contracts. Copyright © 2019 MOTC. All rights reserved.